Bishop Eddie Long apologizes to the Anti-Defamation League for being wrapped up in a “Holocaust Torah” and crowned king during a recent ceremony at his church in Atlanta Georgia. Bishop Long has also denounced all attempts to depict him as a king. For more information, click in the provided link entitled “Atlanta (CNN)“. 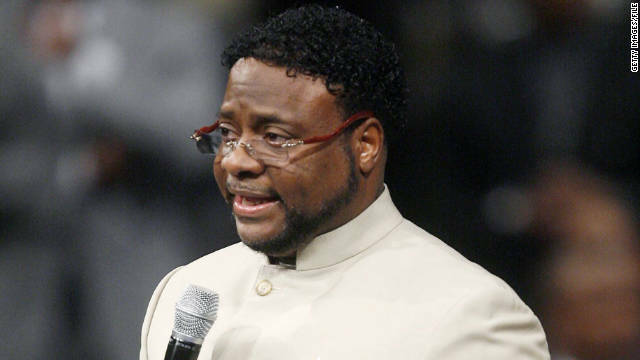 This, of course, doesn’t mean that Bishop Eddie Long is now a follower of Christ, and an orthodox teaching of the gospel, since he has yet to turn away from his false gospel of greed. Nor has he turned away from the Gnostic teachings of the Word of Faith Movement. However, it is still refreshing to witness signs of humility from any televangelist. So let us all take in a breath of fresh air before the next onslaught of pseudo Christian media insanity.